Arnold & Phillips are delighted to offer this immaculately presented three bedroom semi-detached property located in a much sought after area of Lydiate. This property is conveniently located close to a range of local amenities, with highly rated local schools and shops all within a short distance. The property is also ideally situated for transport and commuter links. Set comfortably back from the road, this attractive property radiates curb appeal and will appeal to working professionals and families alike. With a well-presented block-paved drive and attached spacious single garage, this well-appointed property provides off-road parking for multiple vehicles. Accessed via the front entrance porch, one is received into an open and inviting entrance hall, which flows through to the bay fronted front living room, which is centred around an ornate feature fireplace and dressed to distinction. Further through, there is a large lounge which leads through to a rear extension which is currently utilised as a separate dining area, and follows through to the long and attractive farmhouse style kitchen. Finished in a range of wooden wall and base units, this family kitchen is complimented by a host of integrated appliances as well as traditional range style gas cooker and double patio doors, leading out to the rear garden beyond. 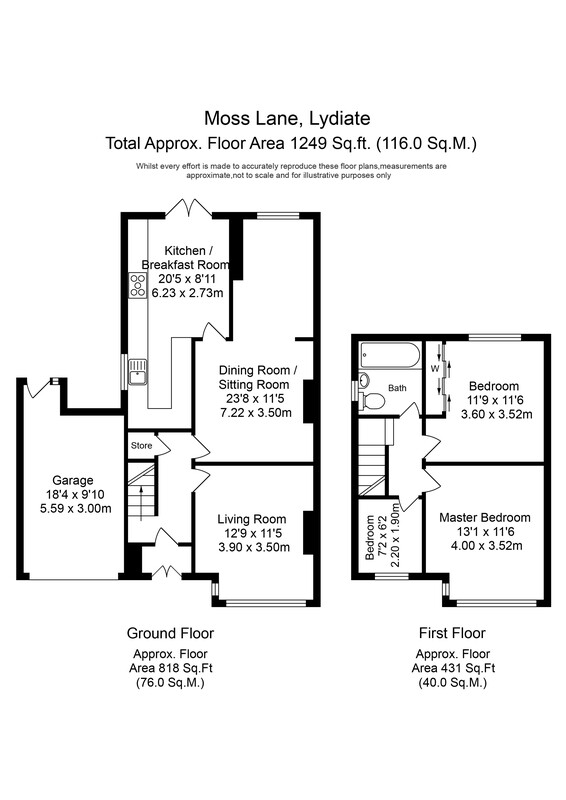 To the first floor, there are three well-proportioned family bedrooms, decorated to a high standard and complete with a selection of fitted wardrobes and storage solutions, with all providing a pleasant outlook of the surrounding area. The property is served by the recently fitted modern family bathroom, which has been designed to the highest standard and finished in an attractive oak design. One of the key features of this impressive property is the beautifully landscaped rear garden, which is flagged with premium York stone and provides multiple patio areas, perfect for al-fresco dining and bordered by established shrubs, plants and trees. Internal inspection of this extended family home is highly advised and early viewing will be essential to avoid disappointment.